All real property records, such as deeds, mortgages, releases, and covenants, are placed on permanent record. Our office also records notary bonds and military discharge papers upon request. All records except military discharge papers are available to the public for a nominal fee. 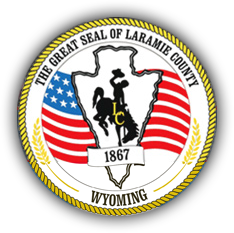 Laramie County offers eRecording through Simplifile, CSC, and ePN. Click here for Laramie County eRecording standards. The County Clerk's Recording/Real Estate Department cannot do research for you, but we have online and in office resources available. TIP: To research property, you must use the property's legal description, not the physical address. Need help? Call the Assessor's Office for the legal description - (307) 633-4307. You may come to our office during normal business hours and do research on the public computers. We provide copies of documents for a nominal fee. For more information, call our office at (307) 633-4350.